Did your favorite Philip Stein watch stop ticking? Don't worry! WatchGnome offers watch battery replacement for Philip Stein watches and makes it fast, easy and affordable. Unlike other watch shops, WatchGnome handles the whole process for you without you having to leave your house. You'll get your Philip Stein back in just a few days without ever having to leave your house! 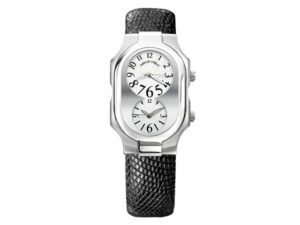 How Much Does A Philip Stein Battery Cost? Here at Watch Gnome we will change your watch with a brand new, top quality Energizer or Sony for $20 with our Basic plan or $30 for our premium plan. Compare that to the average mall jeweler who will charge your $50 - $75 for the same service and you will see why thousands of watch owners are choosing Watch Gnome. How Do You Make Philip Stein Battery Service So Affordable? We get that question a lot. And our answer is simple: Rent. That's our secret - other watch companies buy or rent expensive space in malls, shopping malls or downtown areas. This is the most expensive rent in the country - but they have to do it because they get their business from people walking by or traveling to drop off a watch. 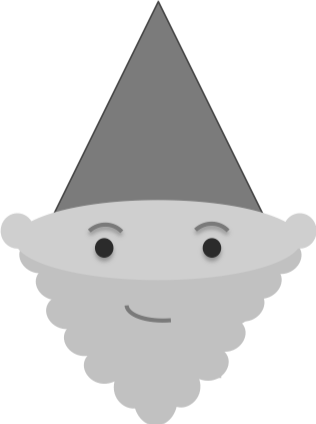 Watch Gnome actually makes it easier for you by doing it by mail AND this allows us to locate our workshop in a more affordable location. This means we get the best watch technicians and can pass those savings on to you, while still delivering the best service out there. The plan began when they learned that natural frequencies had the power to improve one’s overall wellbeing. They began designing a watch that promoted health and had an unrivaled appearance. Most watches feature a dual time zone and interchangeable straps. When the watch first became available in 2002, it marked the first time in history that frequency-based technology had been incorporated in a high end watch brand. Today, Philip Stein watches are sold in 25 countries and the product line has expanded to include a wide range of styles. And, the company has continued to innovate with their technology and they now build other lifestyle accessories. Watch Gnome is proud to offer Philip Stein Watch Battery Replacement! Our technicians have changed dozens of Philip Stein watches this year and have an exact science to ensure your watch gets the best care possible. We start by inspecting your watch outside looking for any obvious issues. Then you can remove the caseback using special tools. Most watches have either screw caseback or a pop-caseback. If your watch is round, there is a 50 / 50 chance it could be either one. If your watch is square, its most likely a pop back. Removing the caseback requires either unscrewing the back or popping the back with a case back knife. The screw back tool will usually cost around $50 to buy. Once the back is off, it's important to inspect the inside of the watch for any damage or corrosion. If you don't find any, then next step is to remove the old battery and replace it with a top quality new battery. At Watch Gnome we usually choose energizer or Sony batteries. Once the battery is replaced, check it to ensure the watch is running correctly and then set to your local timezone. We then reseal the caseback. If it's a caseback, it's important to use a back press tool to put it on. You may see some videos of pressing it on by hand, but be careful about doing this - if you apply pressure unevenly, you can bend the back and it can cost about $100 to straighten it. Once the battery change is complete, we clean up the watch and ship it straight back to your home.